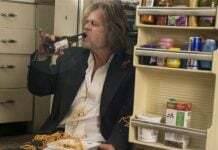 A teaser for Showtime’s ‘Shameless’ Season 8 clarifies that one of the lead actor, William H Macy’s character, Frank Gallagher will have a new plan for a new life. Now he will have an intention to adopt a new life for his entire family. In our previous article on ‘Shameless’ Season 8, we had discussed his changed nature, but that was more about speculation and rumor. Now, Showtime has allowed the series cast after a long silence to break the news themselves in a stunning video to let us know that Gallagher Good Times will continue on the show’s premiere date, November 5. Check the video at the end of this article. Tip: Get a free Netflix account here. 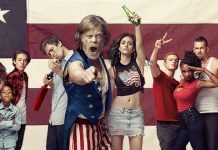 While we have not received any official trailer for ‘Shameless’ Season 8, the series producers and stars have disclosed some of the story details to get the avid viewers excited. The first hint takes the viewers’ eyes to Frank who will now take straight and narrow passage to move ahead. He won’t be seen getting engrossed in alcohol or taking drugs, s if he is a new born character. Obviously fans will be surprised to see his changed personality, mainly his amendment with his kids, as reported by Blasting News. Fans may be curious to know the reason of this ever-unexpected change in Frank. The sudden death of his wife, Monica Gallagher (Chloe Webb) in the previous season of ‘Shameless’ was a big jolt to him. Now the viewers will have to wait and watch how the relationship between Frank and his kids takes a new shape in the upcoming season. On the other hand, Debbie Gallagher (Emma Kenney) will be seen having a hard time as a parent. The source revealed that she could have more of Frank’s dead wife’s traits that she wanted to believe. There is also a speculation that the second-youngest child of Gallagher family, Carl (Ethan Cutkosky) has a chance to change his past criminal ways and become an honest person. Altogether, Showtime’s comedy-drama television series is going to have a plenty of changes in the multiple characters’ behavior. 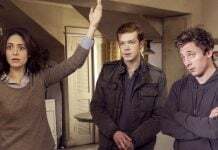 Never miss the premiere of ‘Shameless’ Season 8 on Sunday, November 5, 2017, at 9 pm EDT on the Showtime.